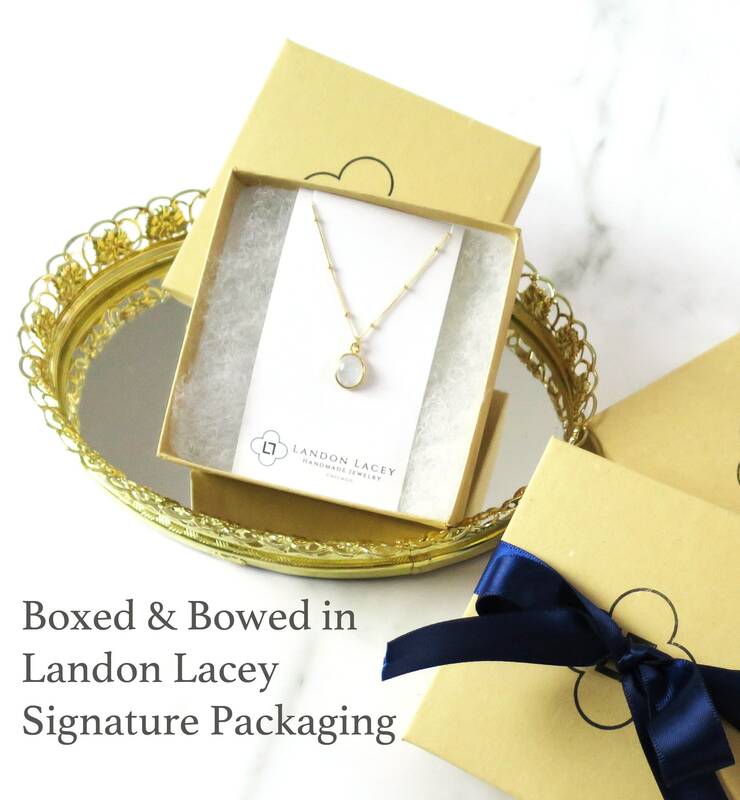 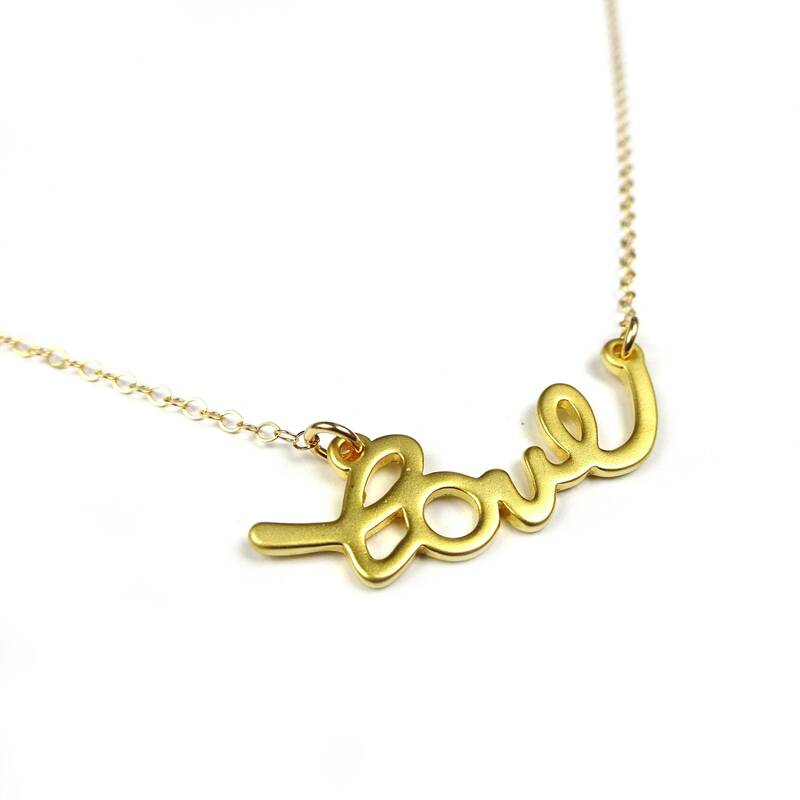 This is the perfect, simple gift to show you care! 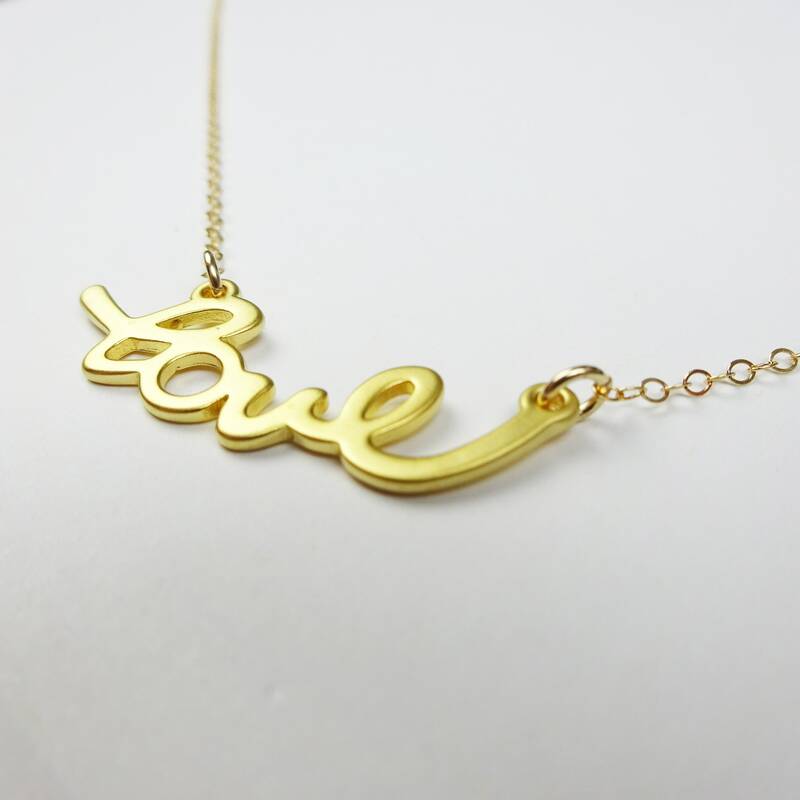 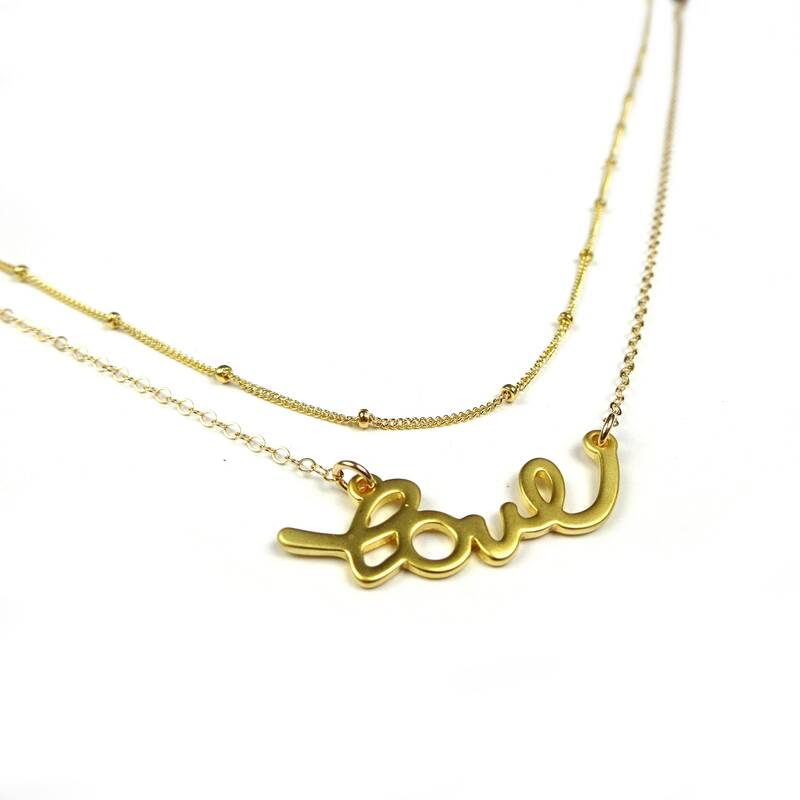 I suspended a matte gold "love" in script from a 14k gold filled chain to create this piece. 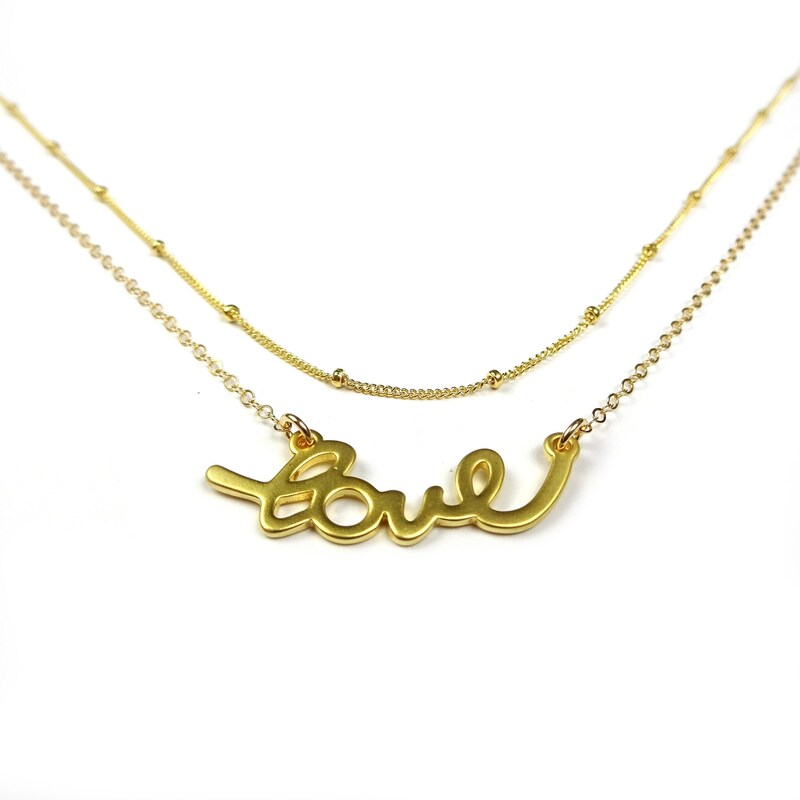 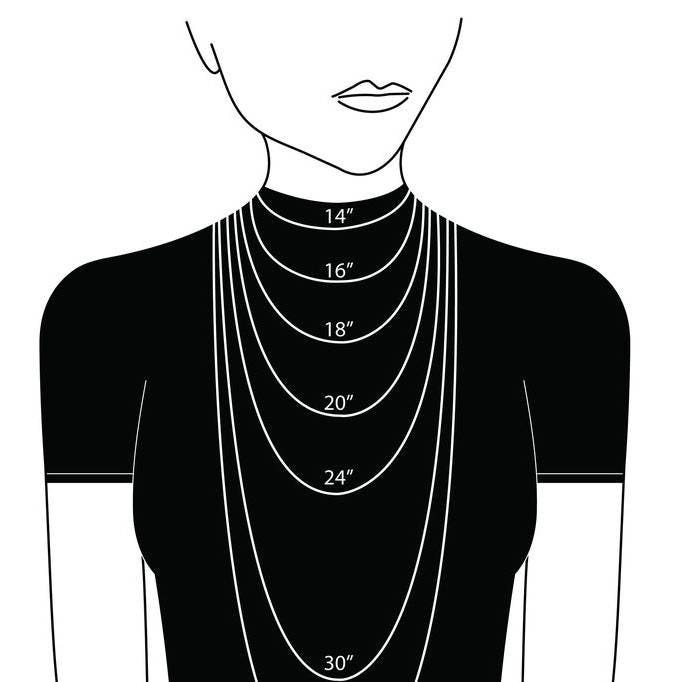 Check out a few more photos to get ideas for layering!